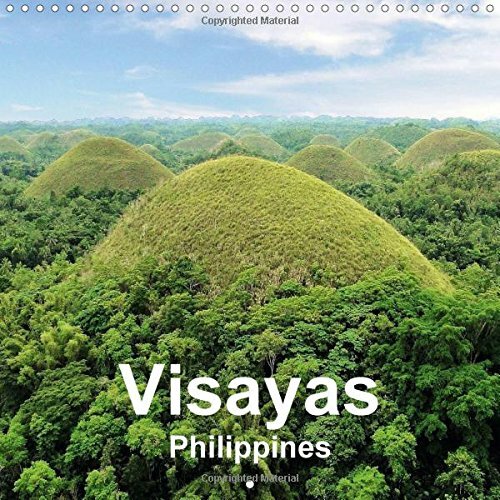 The Visayas are a group of islands belonging to the Philippines. Visiting the Visayan islands of Boracay, Cebu, Bantayan, Malapascua, Bohol, Panglao and Negros, we ride the typical jeepney, see local markets and learn how the fishermen live. Soon we know that Filipinos love to make music, dance, sing and celebrate. We look over the impressive chocolate hills (cover) and experience the crystal clear water of romantic beaches; beaches with white sand as found on Bantayan, Bohol, Boracay, Malapascua or Panglao and beaches with dark sand as seen on Negros where people from all over the world are scuba diving the coral reefs. Calvendo calendars are premium products - a bit more pricey than others but with added benefits: Our calendars always look beautiful on your wall because we produce them locally with premium paper and sophisticated spiral binding, ensuring easy turning of pages and flat hanging against the wall. A protective transparent plastic cover sheet provides added stability and each calendar comes in five languages. Treat yourself to a Calvendo calendar and you get something that looks better all year round.